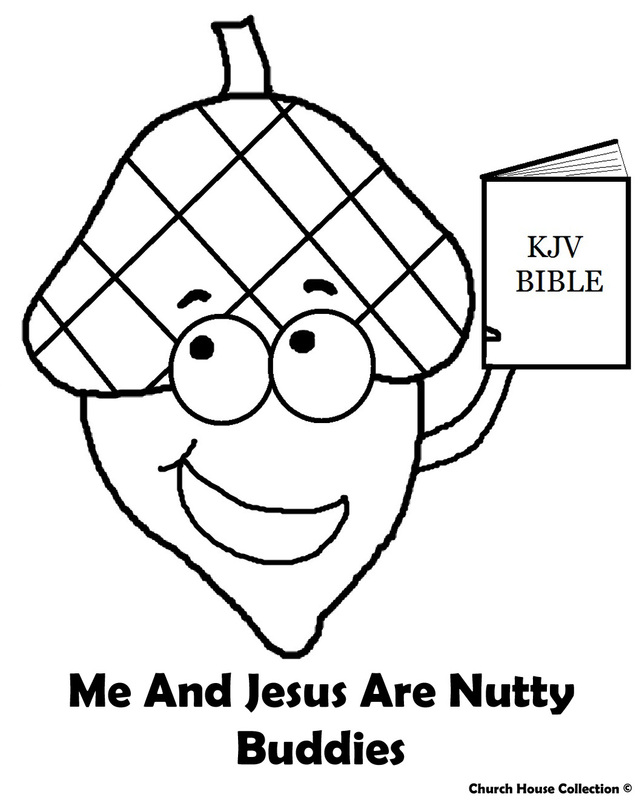 This is a free printable coloring of an acorn holding a Bible. 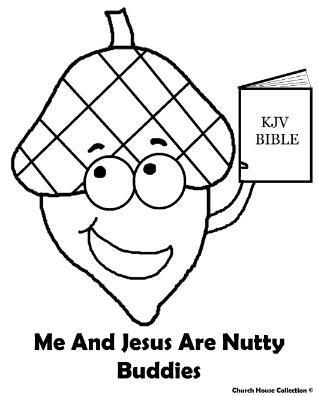 It say's "Me and Jesus Are Nutty Buddies" below it. Use this coloring page to go along with our Acorn Lesson Plan. Let the kids have fun coloring this cute coloring sheet for fall time. Acorn Craft "Me And Jesus Are Nutty Buddies"